I love the window die Ellen Hutson released last month – apparently all of you did too because they were sold out for a while! I used it along with the new snowman in this month’s release – he’s so cute! And he’s got a couple different facial expressions, and carrots facing to the left and right – so you can totally customize what he’s up to. Watch the video below or click HERE to see it in HD on YouTube. 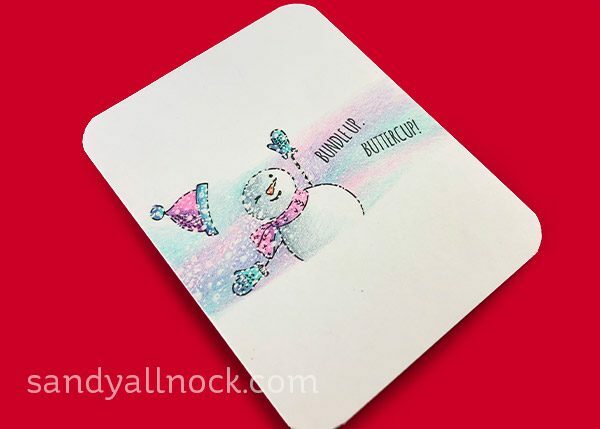 This simple little card is colored with pencil – and snow was added with a white pen! Cheerful little tags will brighten up every package this Christmas, so be sure to put a little effort into them! They’ll be saved as keepsake ornaments too! 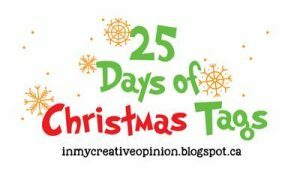 I’m taking part in this year’s 25 days of Christmas tags too – and it happened to coincide with today! Go see Tracey’s blog when you’re done leaving a comment here – there are gobs of prizes up for grabs over there! Super cute! Love the idea and the snowman. So cute! Love the idea and the snowman. They look so beautiful, but are so easy to make. I am going to give it a try myself. The snowmen are so cute. Snowmen have always been a favorite of mine thank you for sharing. These are so lovely – I love having you playing while I’m crafting even if I don’t have all the products you use! We get limited supplies here in the UK. Great idea – but those window tags flew off the shelves! I can put this one on my wish list for next year, tho – it would be easy to do with any medium! Very cute tags! Loved the card you also made with the stamp set! 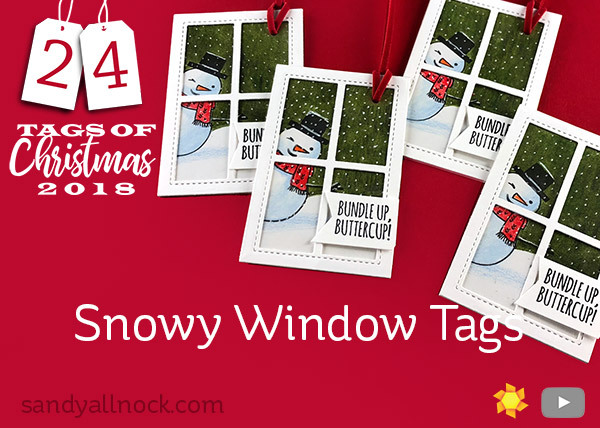 Once again you use materials that are similar to those I have (the window die and a snowman stamp), making it easy for me to create my own version of your tags. Thanks! These are adorable tags and incredibly creative! I think that’s a live snowman peeking through the window; one of Frosty’s pals. And yeah, I would definitely put these on my tree! I enjoyed this – so cute and you make them so special! Sandy, your tags are FABULOUS! 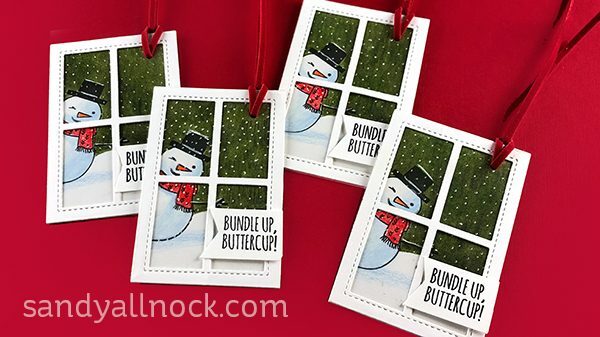 Love the Snowman tags and the card – thanks for sharing! WOWSERS!!! As though the snowman tags aren’t fabulous enough, the windswept snowman card is sublime!!! The rosy pinks & the aqua blues swirling around him are magnificent & the snowman seems to think so too, he’s so gleeful!!! LOVE THIS CARD, PLEASE POST A VIDEO ON MAKING THIS CARD…pretty please w/snow on top?!!! ✨Beautiful! ✩ ♡ Love all of the colors. Totally made me smile. These are adorable! I love how the snowman (and the fox ones you did) is peeking onto the tag. And the card you made – whoa, Nelly! LOVE it! So much motion! Thanks so much for sharing your talent with us! Oh wow, these are just so cute! !